Farmers in Seminyak Bali much to sell his land because land taxes are very high and not commensurate with the income they earn. They sell rice to pay off debts and keep them away from the land tax burden is very expensive, and they have to wait for every year. Caused by the rapid development of the tourism industry in the region Seminyak Bali, impact on the region the value of the land sale. Sale value of land to be very high. The high value of the land sale, to impact with high taxes. The government does not distinguish between the tax value of agricultural land, the land and the hospitality industry. 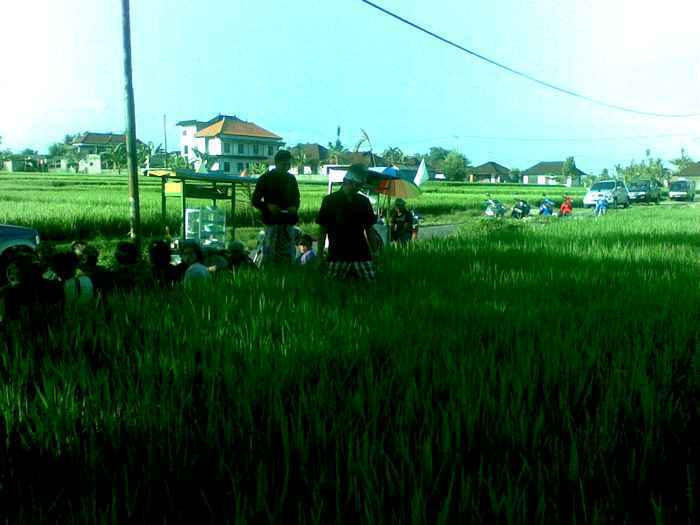 Thus, the burden of the high value of land tax in Seminyak are farmers. The government does not take sides against farmers, especially farmers in Seminyak and surrounding areas, and farmers in Indonesia generally. Though farmers are the most important professions on the continuity of human food. Without farmers, people will be very difficult to get groceries. Now Seminyak Bali be very crowded area by the construction of hotels and villas. Agricultural land more narrow, and many farmers lost his job. If it is not controlled, then Bali will be very crowded.